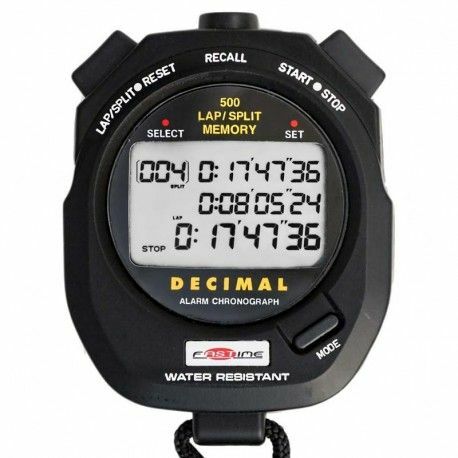 Triple display stopwatch with decimal timing features. Top line: Displays lap number and cumulative split time. Middle line: Displays last lap split time. 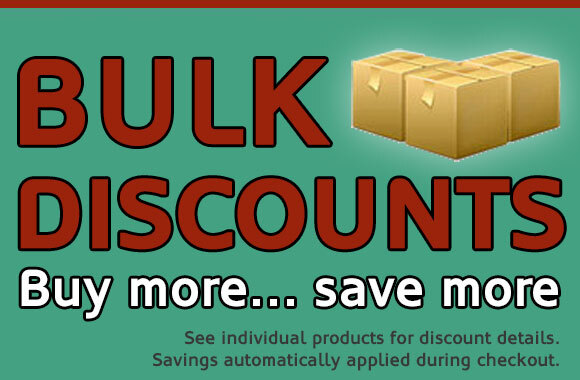 Bottom line: Displays total running time. Splits are held on screen for a few seconds, after which display reverts to current total running time / current lap running time. 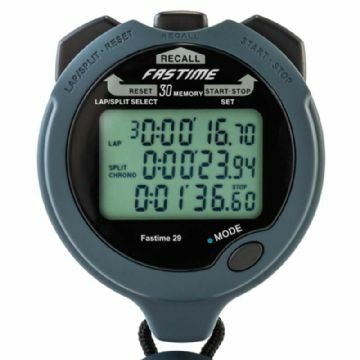 The Fastime 500DM stopwatch stores up to 500 cumulative times and lap split times in memory. 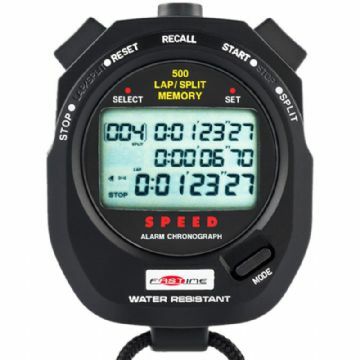 Lap/split times can be reviewed at any time during stopwatch mode. Data can be stored in segments, allowing the user to record multiple events - each with their own split/lap times saved in a block. Time and date is recorded to help identify each segment. Countdown to zero and stop. Countdown to zero and then up. Repeating countdown once zero is reached, the Fastime 500DM beeps and automatically resumes a fresh countdown. A count of the number of repeats is recorded. 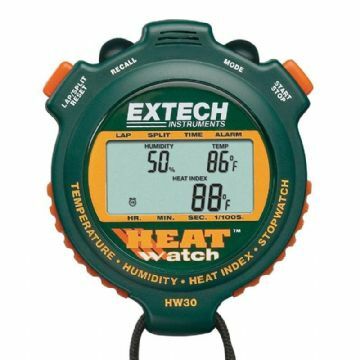 Metronomic counter that allows the user to set a beep pace between 5 and 240 beeps per minute (5, 10, 20, 30, 40, 50, 60, 80, 100, 120, 150, 200, 240). The 500DM's digital display shows the current beeps per minute, running time and a count of 'beeps'. 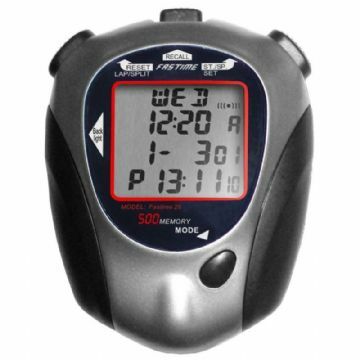 The Fastime 500DM stopwatch can measure three 'strokes' to calculate a stroke rate per minute. Four buttons: Mode, Start/Stop/Reset, Recall, Lap/Split.